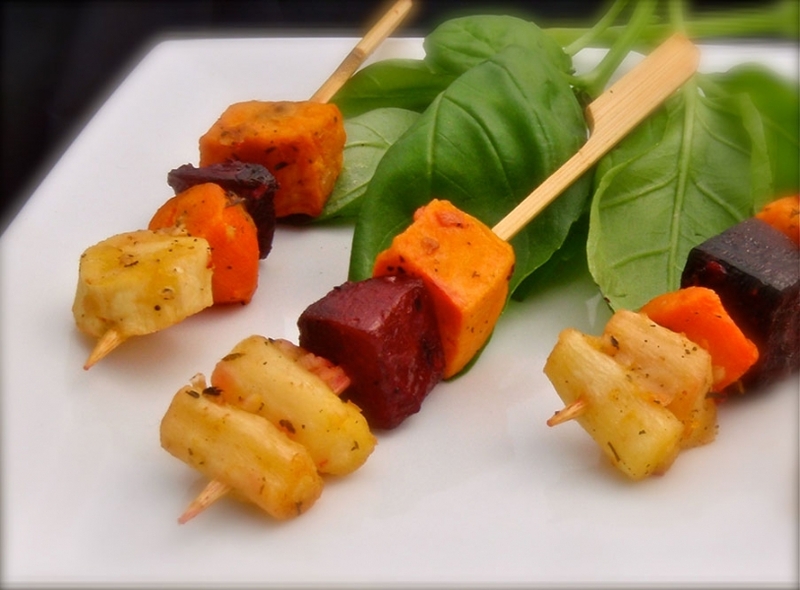 Earthy vegetarian friendly kabobs consisting of ruby red beets, golden sweet potatoes, caramelized carrots, silky white parsnips and seasoned with rosemary, thyme and sea salt. Being a caterer in a small town in the Midwest I get very few requests for vegetarians and until last month I was never asked for any vegan appetizers. I called up Liz and she suggested the roasted root vegetable kabob. 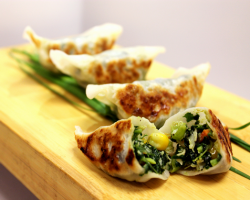 It was a big hit at the party even with the meat eaters.